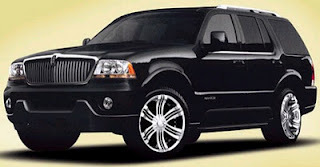 Since 1996 Ashawn Limo Inc. has been the leading choice for many top Fortune 500 business travelers and premier travel agencies throughout the Chicago area. Our company takes great pride in providing the most reliable professional drivers and on-time quality Chicago Limo Service, Chicago Airport Car Service, O'Hare Airport Car Service, Midway Airport Car Service, Executive Airport Car Service plus Prom, Wedding and Special Event Limousines. With us you will not find gimmick prices to get you in the door. We are the only Chicago land Airport and Limousine Company that offers an all inclusive airport shuttle package. No fiquring out a fuel surcharge or tip or extra tax. We quote, what we sell, great service! Call our courteous knowledgeable Customer Service staff to confirm your Airport Car Service, Convention/Meeting Travel or Special Event Limousine. We have staff waiting to provide you with a personal price quote today! Since 1996, Ashawn Limo has been committed to excellence and customer satisfaction serving corporate and vacation travelers throughout the Greater Chicago Area & Suburbs.